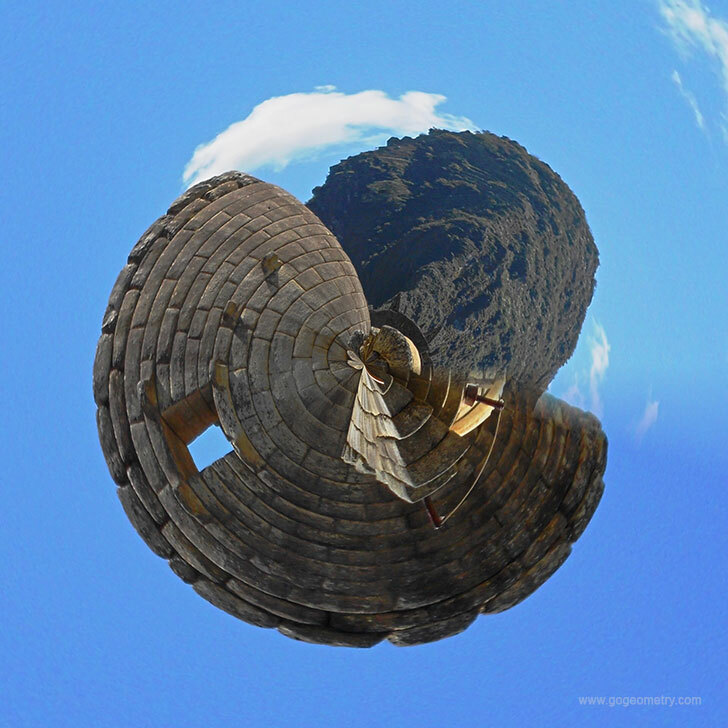 The stereographic projection of Machu Picchu is a mapping that projects a plane image of it onto a sphere. Machu Picchu, the Lost City of the Incas, is considered the main tourist attraction in Cusco, Peru and one of the world's most popular tours. The Temple of the Sun is a semi-circular construction built over a strong rock with a tower with a trapezoidal window.